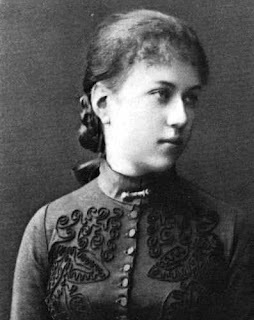 Her portrayal of the committed Bolshevik woman, known by the masculine Vasya, epitomizes the disdain with which Bolsheviks regarded the pleasures of private life. She is androgynous and sexually unattractive except for her “wonderful eyes…warm brown and attentive,” in short, as unfeminine as possible. As if to purge sexuality from her body, Vasya dresses in the most shapeless outfits. Obsessed with purity, Vasya never feels clean especially after sexual activity. During a time of so much poverty and starvation, she is pressured by her lover to wear the latest fashions. She feels uncomfortable with a dress made from expensive fabric because of its aura of opulence and its association with femininity. Kollontai suggests that only when the woman’s body is draped with a diaphanous silk cloth does it arouse the man’s desire becoming a sexual object as the man’s property. After a bout of typhus, she loses her hair. Moreover, since gluttony is associated with the NEP and by inference femininity, the abundant, rich food at Vladimir’s business lunches often sickens her. Although very thin and undernourished, she rejects for a time the extra rations allotted with Party membership. She uses her body as a weapon to maintain her ideological purity but with a price to her health as she veers toward anorexia, in effect waging war against her own body, as a means to establish her political bona fides. Vasya’s lover Vladimir personifies everything that Kollontai despised about Nepmen. He has abandoned his Bolshevik principles if he had ever had any and currently is a factory director in the provinces. 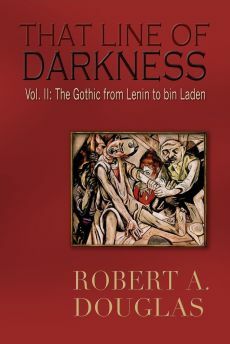 In the new neo-capitalist climate, he lives in a cavernous Gothic mansion where Vasya feels like a prisoner, and enjoys a comfortable lifestyle that is reminiscent of the former gentry. Assisted by a servant and an errand boy, Vladimir assures that his business guests are well fed with a sumptuous three-course luncheon; Kollontai clearly equates gastric indulgence with ideological corruption. He is self-centred, a whiner and skirt chaser, who expects Vasya to properly feed him with something other than “soviet mush.” Expecting her to dress elegantly for the theatre and to attend to his sexual needs, he is dismissive of her lifestyle as “living in a nunnery…with no pleasures, no nice dresses, no proper home” with nothing to eat but “slops.” Kollontai portrays Vladimir as a narcissistic, nouveau riche entrepreneur Nepman who mistreats his employees as they were by the former bosses. Just as her portrait of the Nepman is steeped in cliche, so Kollontai’s Nepwoman reflects the Bolshevik stereotype. The cardinal sin of wife or girlfriend is her leech-like relationship to the neo-bourgeois capitalist. In an article, Kollontai compared the idle “doll-parasite” to a harmful moth or pest that was swept away by the Revolution, but has returned to wreak her damage. She performs no work, but wears the furs as accoutrements of ill-gotten wealth. Dependent on men and on consumerism to fill the vacuum in her life, the sensually depraved bourgeois woman is partly a victim of the capitalist man who has turned her into an instrument for his own pleasure. But as Kollontai and other writers noted, the woman becomes monstrous when she identifies with her corrupter and lives only to satisfy her master’s lust. Worse than the prostitute who could potentially be a "sister," the return of the bourgeois woman with her high heels and red lips was a symbol of uncontrolled sexuality. 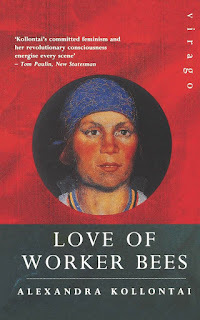 Just as the fear of dangerous sexuality is a central theme in late Victorian Gothic novels, so in Worker Bees, Kollontai reviles the flirtatious wife of a foppish dressed man as “tarted up like a streetwalker, in her diaphanous dress, furs draped over one shoulder and rings sparkling on her fingers.” Kollontai’s writings during this period were similar to popular scientific tracts that conceptualized a woman as a prisoner of her own body at the mercy of her hormones and organs of lust that robbed her of her will. In effect, woman’s sexuality or female biology aroused disgust in which pregnancy was equated with pathology. 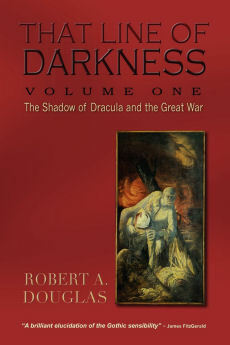 In an age already preoccupied with a return of the past, these contemporary writers were reminding their readers that at least one horror of the past could never be eliminated ensuring that “biological inequality exists between the sexes.” Given the bodily and historical limitations of sexuality, the only hope for women was to purge sexuality from their body through gastronomic denial. Malnourishment was a means to combat menstruation and strive toward ideological purity. The emaciated body denuded of secondary sexual characteristics befitted the ideal Bolshevik woman. If Vasya represents the de-sexed revolutionary heroine, Vladimir’s mistress, Nina, symbolizes ideological contamination and the sexualized threat to the purity of the revolution. In a park, Vasya observes the detested other woman: unable to see her face, only the outline of her breasts and her lips “bright as if smeared with blood” are visible. This embodiment of rapacious femininity is objectified and according to one scholar is “reduced to facial symbols of female genitalia – bloody and repulsive lips.” By objectifying the bourgeois mistress, Kollontai renders Nina a temptress who has seduced and further sullies Vasya’s lover. The gossip that Vasya has heard about her living the lifestyle of a prostitute who enjoys being surrounded “by a crowd of admirers vying for her favours” appears to reinforce this view. The impression she later gleams from intercepting Nina’s letter to Vladimir reinforces that impression with her “hot little lips,” dependent upon a man to take care of her. She is deemed weak and corrupt because of her associations with capitalist ownership, property – the “doll woman” festooned in silk. By way of contrast Vasya, determined that she will not become an instrument of pleasure, desexualizes herself and embraces gastronomic asceticism. The narrative concludes with a pregnant Vasya leaving her lover, returning home to purge maternity of its onerous cross, setting up a crèche and then raising her communist child in a collective environment. 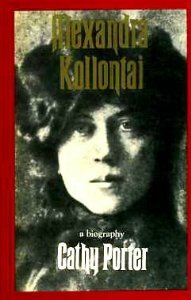 Paradoxically, given her feminist credentials, Kollontai, by pitting female physiology and neo-capitalism as enemies of Communism, is perpetuating both the culture’s deep-rooted hostility toward women and her ambivalence (or abhorrence) toward femininity that occasionally borders on self-hatred. Given that she endured vicious and misogynistic verbal attacks from the Bolshevik leadership and became politically powerless after her outspoken opposition to the NEP, perhaps it is not surprising that she became entrapped in this discourse about women and internalized some of its hostile assumptions.